We need to be really conscious of who is on farm. 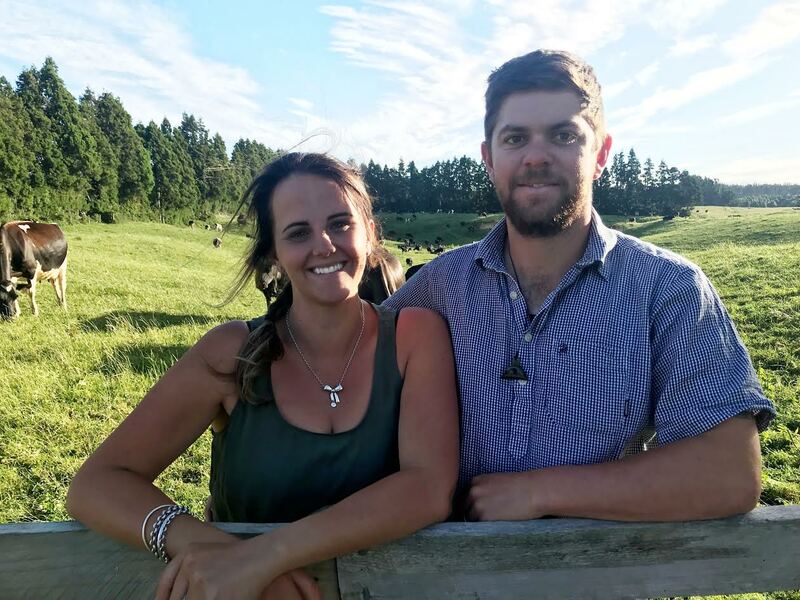 A road running through the middle of the Bay of Plenty dairy farm that Reece and Natasha Cox manage could have made risk and safety management challenging. But with the OnSide geo-fence along all boundaries and signs at all entry points alerting visitors to sign in using the OnSide mobile app, the couple always know who is on the property, no matter which entrance they take. As contract milkers farming 750 cows, employing 3 full time staff and with up to 5 contractors on the farm during busy periods they take the safety of their team and all visitors seriously. And with the ever-present threat of exposure to mycoplasma bovis the Cox’s are also paying increasing attention to visitor management and movement around the farm. The Cox’s know a thing or two about risk and people management. When they won the Bay of Plenty Share Farmer of the Year back in April 2018 they also gained special merit awards for Health and Safety, HR, dairy shed hygiene and overall agribusiness management. Reece says their location close to Tauranga means it’s important to keep an eye on visitors. To minimise the risk of exposure to mycoplasma bovis all of the Cox’s cows are now kept on farm, apart from young stock which are the only cattle held by their graziers. Their Tauranga dairy farm is double fenced and this season they implemented restricted areas such as the milk tanker track where vehicles and visitors are guaranteed never to come in contact with stock. Reece says when they arrived at the farm in May 2017 the owners, David and Lesley Jensen, told them the property was set up for OnSide and they were required to use it. Reece says one of the major advantages of the app-based software is how easy it is to train new staff and enable them to use the map based hazard identification system. Reece says the majority of contractors visiting the farm have adopted OnSide happily. Those visiting regularly like how the app remembers the farm if they are coming in the gate again.